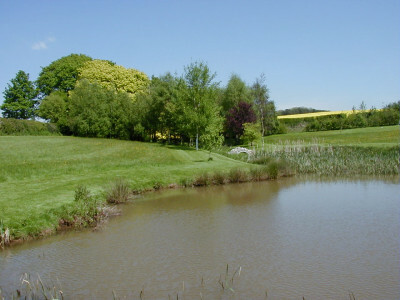 We are a small family run Park set in the rolling Shropshire hills. The views from Park Grange and our four Static Holiday Caravans are superb and the National Footpath network is easily accessible. We live and work here and are conserving the old hay meadows which we believe are more than 250 years old..
Shropshire is sometimes called the “Hidden County”. A.E.Housman made it the subject of his poetry and the Industrial Revolution sprang into life at Ironbridge. The Ironbridge Gorge Museums , Bridgnorth and Much Wenlock, the home of the Modern Olympic Games and Shrewsbury, the birthplace of Charles Darwin, are a short drive away. Close by is Wenlock Edge (location of ACTON SCOTT FARM MUSEUM) leading to the South Shropshire Hills including Caer Caradoc, the Long Mynd and the Stiperstones near Church Stretton. The skills and crafts of Shropshire are diverse, from coracle-making to designer metal furniture. There are many attractions to visit and there is something to please all tastes. Visit the INTERNET LINKS page to see more. While enjoying your stay in a Holiday Caravan or your own Touring Van on the CARAVAN CLUB CL (now with Electric Hook-Up points) you can relax in many parts of our 24 acre grounds. There are compact wooded areas and ancient Hay Meadows, together with small Wildlife and Carp Fishing Pools which attract an abundance of insects, birds and animals. For more information about PARK GRANGE HOLIDAYS please visit the other pages on this website.